Our research programme concentrates on topics related to the history, origin and early evolution of planetary systems. 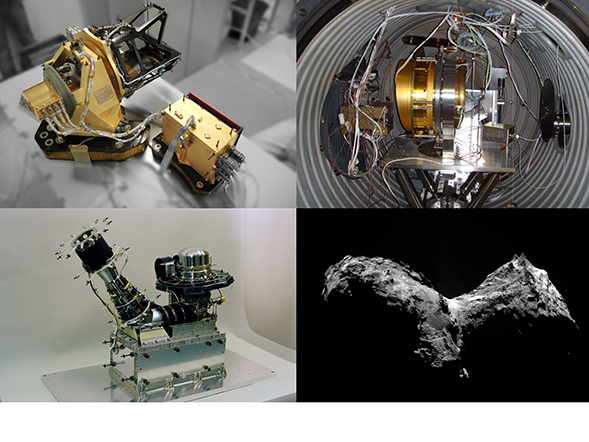 By means of in situ measurements, remote sensing observations, laboratory analysis, and numerical modeling, we investigate our own solar system with its small bodies (comets and asteroids), its planets and their atmospheres as well as the newly discovered extra-solar planets to unravel the physical processes underlying the formation and evolution of these systems. These investigations also include the past and present interaction of the Sun with magnetospheres and atmospheres with the Earth and with comets.